Jada is a 23 year old young lady, who is obsessed with Fashion, Lipstick and Life. 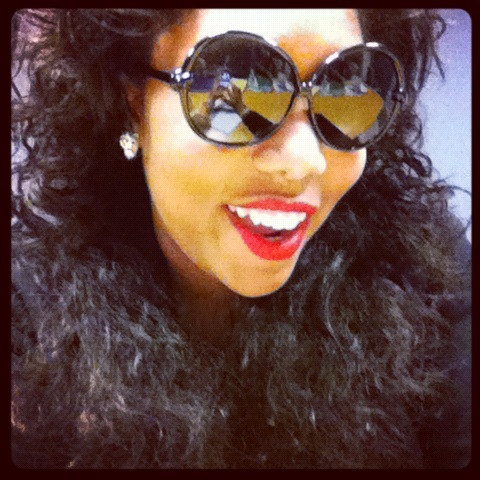 Known as the face behind iiamcouture.com, she expresses herself and her outlook on life through her blog. She began blogging in 2010 with a close friend on HautenessCoutureious.Blogspot.com, but in October 2012, decided to branch off and start her own. That’s when iiamcouture.com was born. She works as a Marketing & Communications specialist for a small agency and also does freelance Marketing, Consulting, Public Relations & Event Coordination. She is also the publicist for hip hop artist, Mathematics known for his #MATHMONDAYS social media campaign and Great Since 88 Music Group. She is vibrant, outgoing, LOVES to talk so ask her anything. Fashion is her LIFE and she is currently in the process of launching a boutique called, Elitist Snob. She is open to guest blogging, so contact her and also having guests blogs on her site as well.